Rebecca photographed our wedding this summer and we are thrilled with how she has captured the essence of our special day so beautifully and well. She has made a special day extra special with these memories we can now look at again and again. We would highly recommend Rebecca Frost Photography. Rebecca photographed our wedding in July 2016. We first came across her website in 2014 and fell in love with her style of photography. Her photographs seemed to capture the essence of the spirit of the people she was photographing and the images were so crisp and colours so vibrant. It was an easy decision to choose her to capture our wedding day. She was the consummate professional throughout. She reassured us and made us feel comfortable behind the lens. 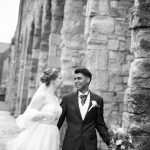 Our pre-wedding shoot images where stunning; the one thing we were not worried about in the run up to the wedding was the photographs – we knew we were in safe hands! On the wedding day, Rebecca was perfect. She fitted into the day amazingly. Guests have commented how unobtrusive she was – they didn’t even notice she was there! And for the images – we are so pleased! She has given us the gift of documenting our day with such beautiful photographs. She has not only documented the events of the day but captured the spirit and emotions also and as such has given us images that are beyond what we ever could have expected. Her photographs have captured emotions and interactions we will treasure for a lifetime. We cannot recommend Rebecca Frost Photographer highly enough, and thank her so much for what she has done. 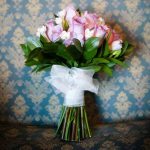 I can’t explain in a small review how brilliant Rebecca is, I am a huge lover of photographs and think they are such a wonderful way to treasure memories and I think there is no one that compares to Rebecca Frost Photography. I have had a couple of shoots for me and my family so far, from photos with my family and family pets. My mum and I actually had a mother daughter shoot not so long ago which was great fun and a really enjoyable day for us both. 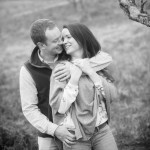 More recently my husband to be and I have been lucky enough to have Rebecca as our wedding photographer. 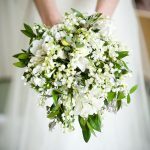 We have enjoyed all the different aspects of her wedding package, including a boudoir shoot, which I wasn’t sure about to start with, but turned out to be the most amazing and enjoyable experience. 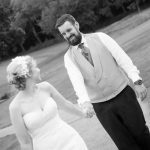 We had a lot of fun and giggles…and I can’t wait to show Fiancé the images on our wedding day. It was a joy to have Becky taking our Wedding photos. We where very relaxed having her with us for the day, she has a very sensitive but fun approach to taking photos. When we saw the images we were amazed at how she had caught the essence of so many moments of the day. When I look at the photos is takes me right back to the moment they where taken. Amazing and thank you!! 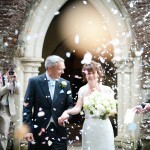 Becky photographed our wedding day in April at New Place De Vere. As someone who doesn’t like their photograph being taken I felt comfortable from the moment you arrived, love the outcome of the candid shots of our beautiful day, nothing felt staged, and all of our guests commented on how organised the group shots were without having to hang around too much! She captured lots of memorable shots that I will treasure forever. Will use Becky in the future and always come highly recommend! Thank you so much for making me feel so comfortable on our Wedding day, being in front of a camera can be quite nerve racking, however, you made it effortless. On the day we couldn’t have wished for anyone better, you helped in so many ways as well as capturing every moment perfectly. 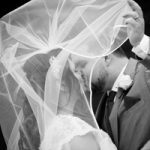 My husband and I love the photos and we will treasure them forever! I have been and will continue to recommend you to all my family and friends. Excellent work!!! Rebecca, thank you so very much for being a part of our special day! You put us all at ease and created the most spectacular images that we will adore forever and always. Such professionalism and beautiful work!